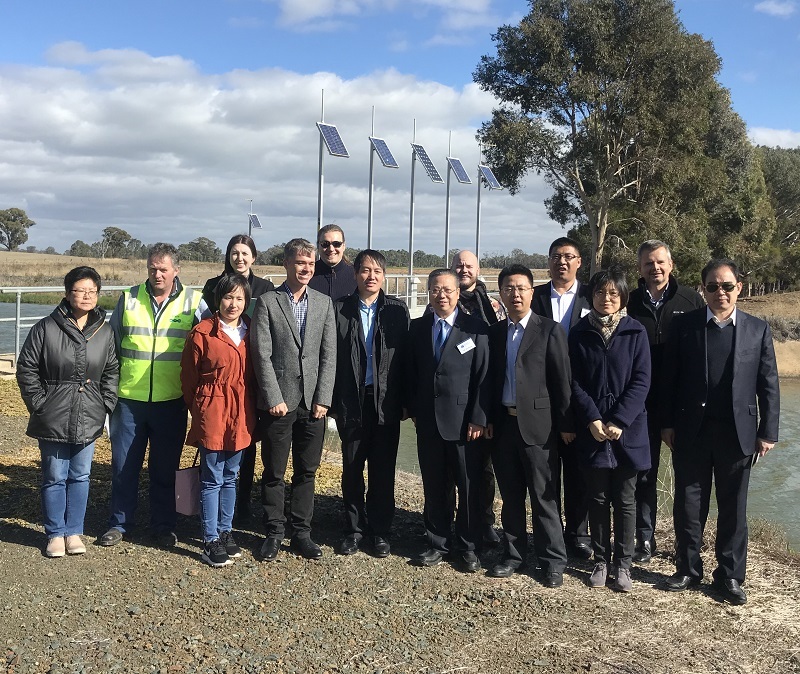 Last week, a high-level delegation from China Water Exchange (CWEX), the Ministry of Water and business executives, attended a 5-day study tour focused on water trading in the southern Murray-Darling Basin region. As partners of the Australian Water Partnership (AWP), ICE WaRM and Marsden Jacob Associates joined with the Department of Agriculture and Water Resources (DAWR) to host and support the delegates and assess the feasibility of a long-term collaborative arrangement in water markets. The study tour provided initial exposure to Australia’s water rights and trading systems and included policy elements of Australian water markets as well as on the ground experience in implementation and management. Australia is a global leader in the development of water markets and CWEX faces challenges that Australian water market experience can support solutions to such as the operation of water trading and market information platforms sustainable water allocation and licensing frameworks. This study tour was an opportunity to develop an understanding of how Australia and China’s approaches and experiences in developing water markets are similar and where they diverge and has provided a basis for developing a formal China-Australia agreement on water markets and trading. Delegates and organisers are looking forward to developing a longer-term relationship where China – Australia share information on water rights, trading, regulation and other matters.